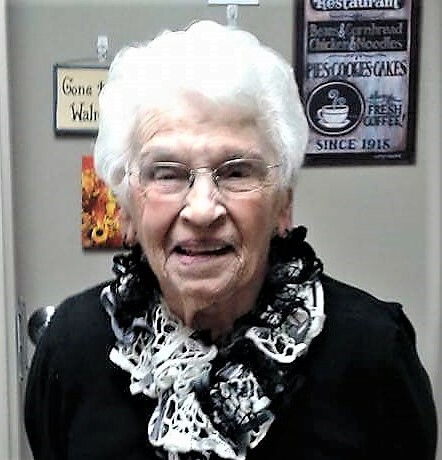 Mrs. Ruby M. Rexford, 88, of Canton passed away peacefully on Friday, June 22, 2018 at the United Helpers Maplewood Nursing Home, where she was in the company of family. Ruby was born January 15, 1930 in Lisbon, the daughter of the late Thomas and Agnes (Martin) Steen. She attended Lisbon and Canton Schools. On April 22, 1948 she was married to Phillip Rexford at the Canton United Methodist Church with Rev. Walter Dobie, officiating. She worked at Billy’s Restaurant for 11 years and at Chaney Dining Hall at SUNY Canton for 28 years, retiring in 1992. Ruby enjoyed caning, sewing, baking and refinishing furniture. Ruby is survived by two sons, Peter Price of Henderson, NY; Lee Rexford of Canton; a daughter, Suzanne (Douglas) Johnson of Cornwall, Ontario; a brother, Francis (Faith) Steen of Clyde, NY and by grandchildren, great-grandchildren, nieces and nephews. Her husband Phillip in 2003; son, Max Rexford in 2008; brothers, Thomas, Vernon and Donald Steen and a sister, Cora Besaw predeceased her. Contributions in her memory may be made to Hospice and Palliative Care of the St. Lawrence Valley, 6805 US Highway 11; Potsdam, New York 13617. Calling hours for Ruby will be held on Wednesday, June 27, 2018 from 1:00 pm until 3:00 pm at the O’Leary Funeral Home, Canton. A memorial service will be held at 3:00 pm at the funeral home followed by a graveside committal service at the Pierrepont Hill Cemetery. Memories and condolences may be shared online at www.olearyfuneralservice.com. Arrangements for Mrs. Ruby M. Rexford are under the care of the O’Leary Funeral Service of Canton.